Trees are like people. They have personalities. In my childhood, besides human friends, I also had some tree friends. 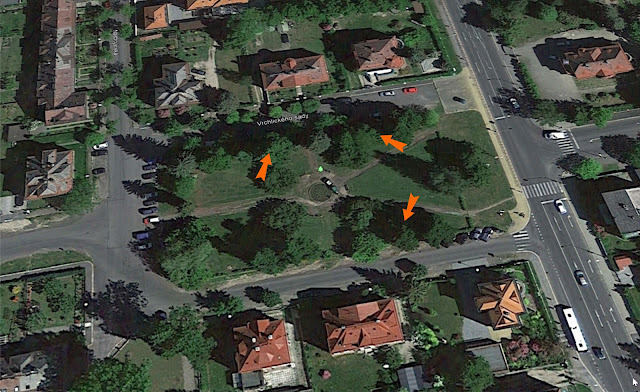 Specifically three climbing trees in a park just next to our home. I spent hours in their crowns observing life around the park. I knew every branch and twig of those trees and I also knew their different personalities. Now much older I only seldom climb a tree, but we became members at the Brooklyn Botanical Garden. I particularly love to visit their world-famous bonsai tree collection. And after a few years I start to recognize those more often displayed trees. One or two I knew in advance in Prague from photographs. It is a great experience to see them now in real life. Personalities of those bonsai trees are not artificial, as is often claimed, they are only made more visible. Bonsai masters observes their trees for long periods of times to figure out their natural desire. It is impossible to make a real bonsai into something it does not want to be. But I also still have some real tree friends. Some right here in the Upper West Side, Some in NJ and some of them are very very far. 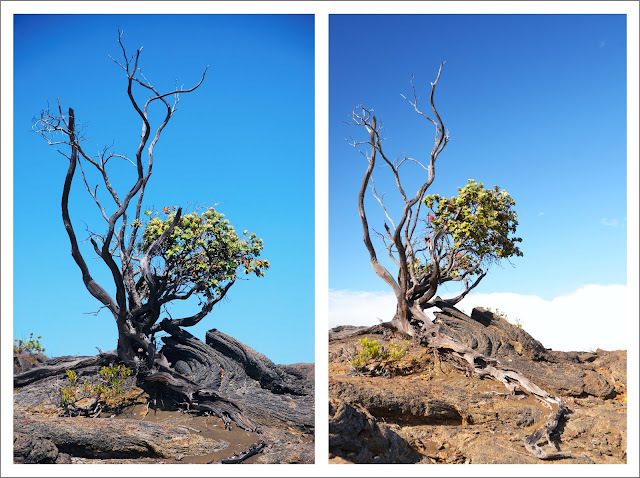 On our first visit to Hawai‘i in autumn 2010 I met this Ohia Lehua tree in the Ka‘ū desert on the slopes of Kīlauea volcano. The second picture is from spring 2015. I visit occasionally but as often as I can in the chill of the higher altitude which often happens even in the tropics, or under the beating sun, once even in approaching thunderstorm (yes, it sometimes rains in deserts). I have learned a lot about life from this my friend, about sturdiness and tenacity. It is almost impossible to put into words, but suffice it to say that my tree friend still puts up occasional bright red lehua flowers - as you can see on the second picture. Come this Sunday when a well known parable from Jesus will open to us new ways of seeing the Kingdom of God as an intricate tapestry of life. A tiny seed can grow into a big tree and become a habitat for birds and we are all invited to be part of this new vision of a beautiful and elaborate lacework of creation.